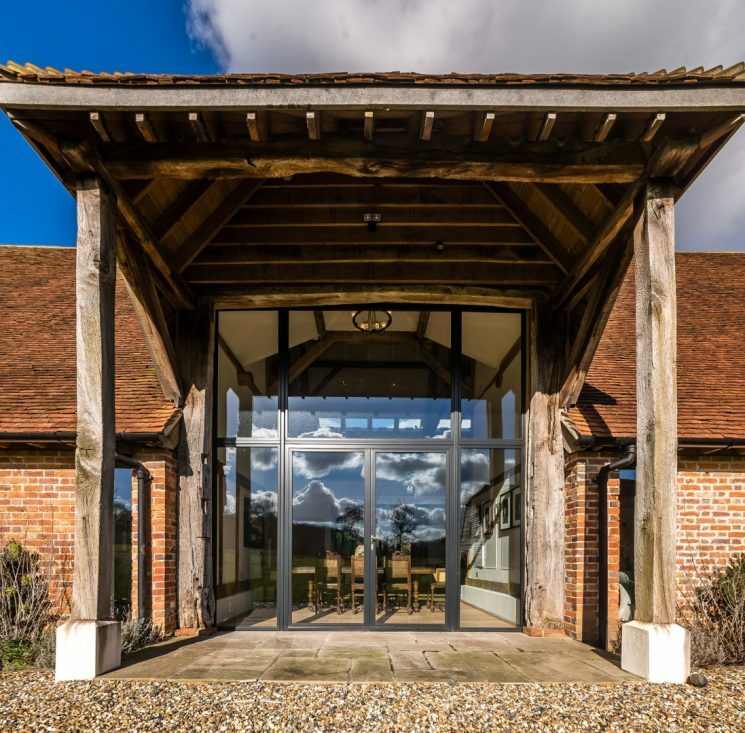 This is part of a stunning group of buildings which once comprised a farm on the Hackwood Estate. 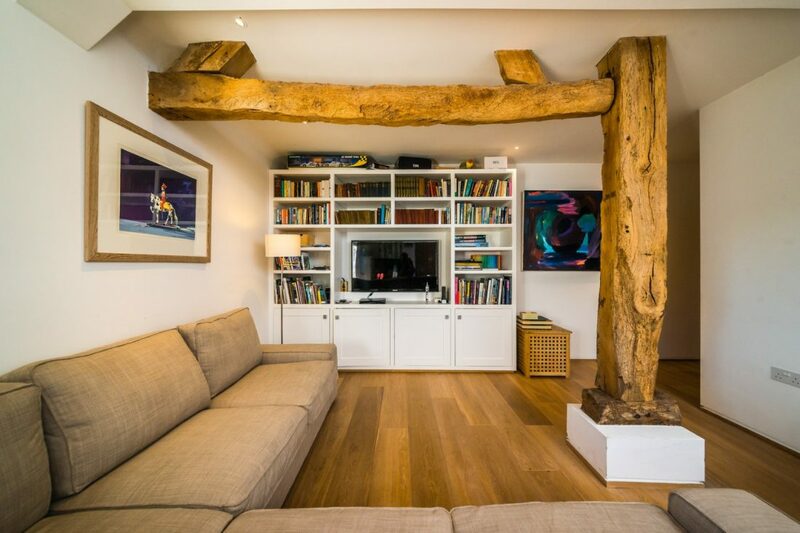 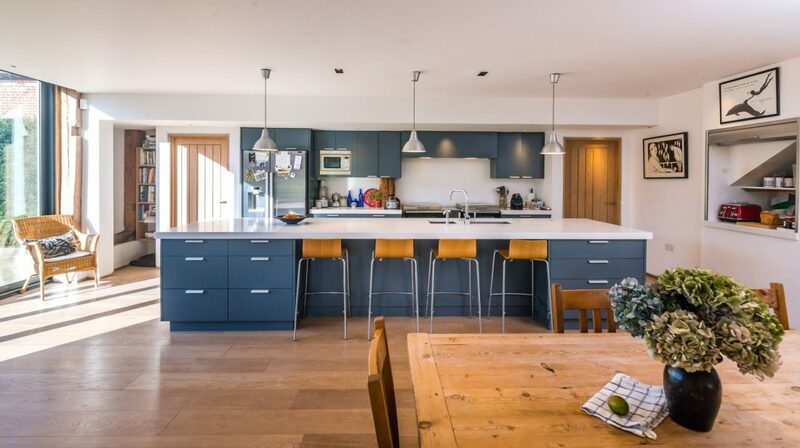 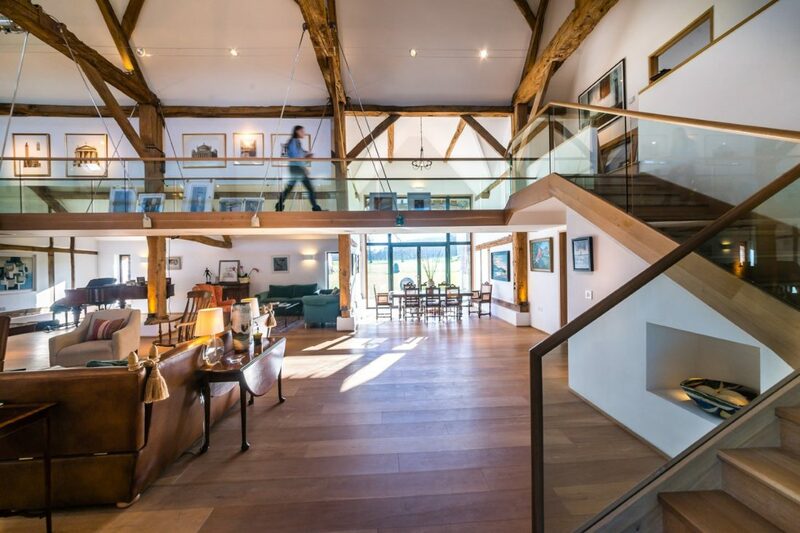 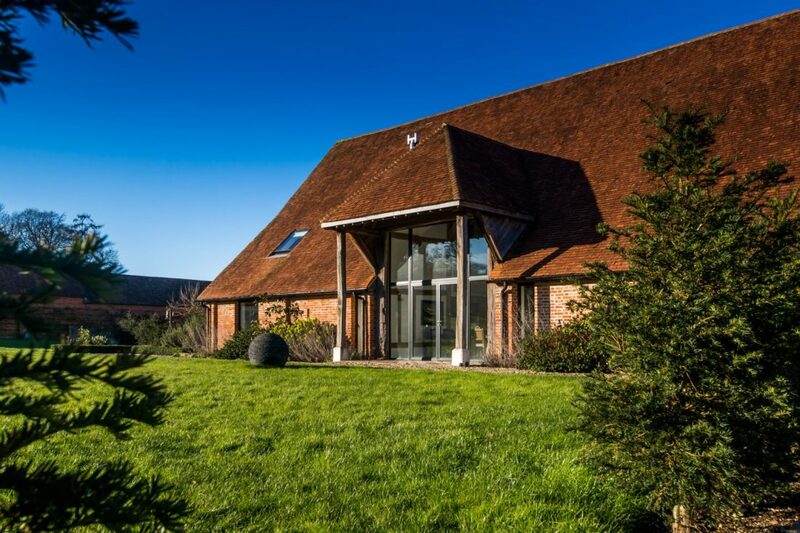 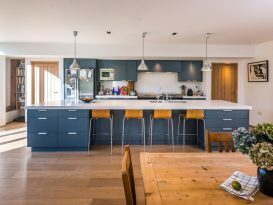 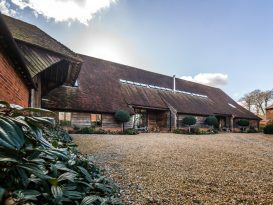 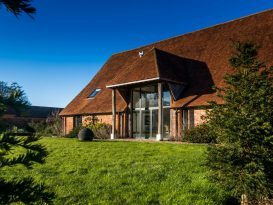 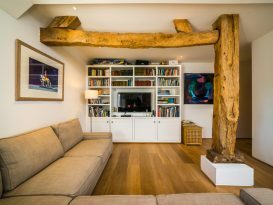 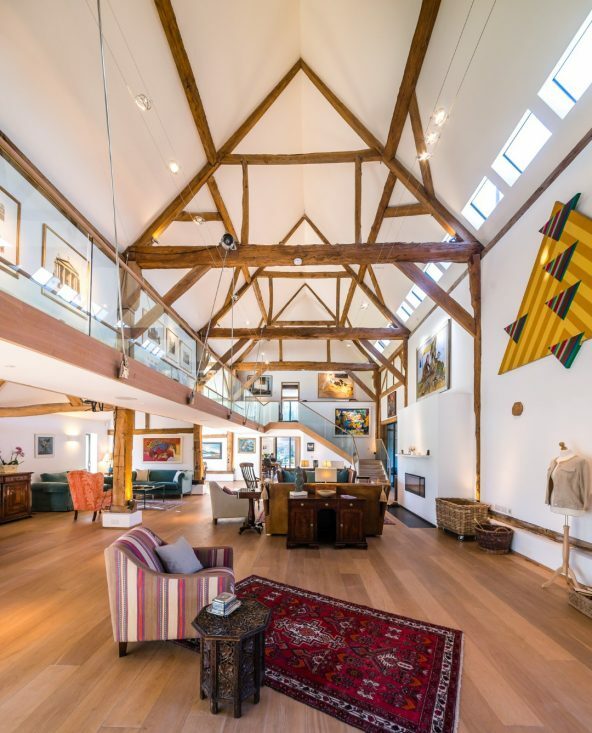 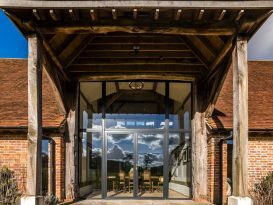 The project involved the restoration and conversion of the larger barn into a dramatic open plan contemporary living space. 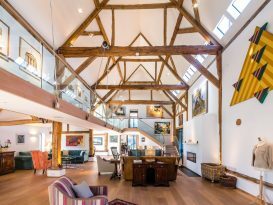 Retaining the character of the former storage barn, only the end sections are converted into two-storey living spaces, leaving a large central open area complete with a dramatic hanging gallery and stairs. 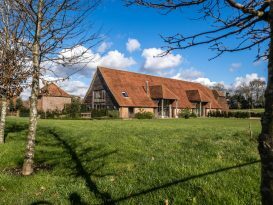 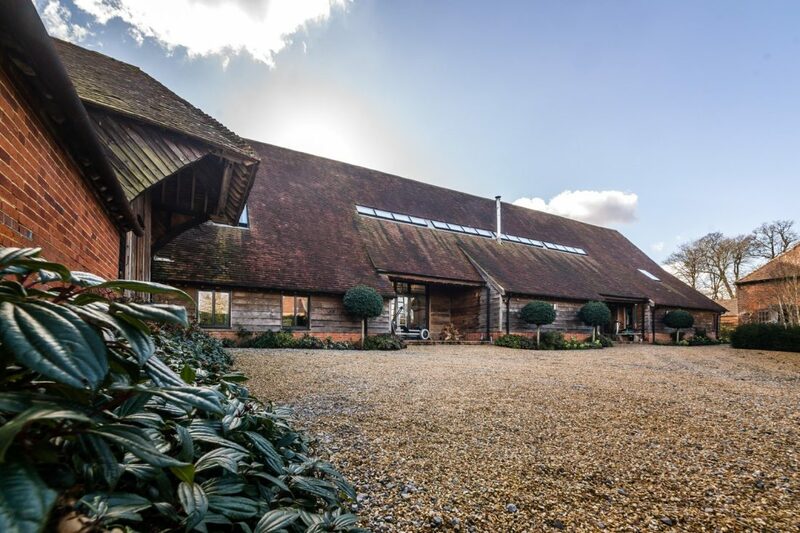 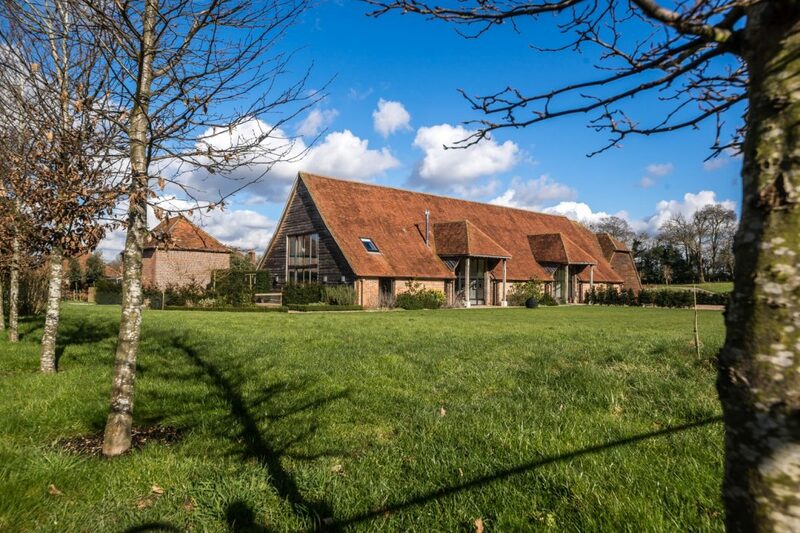 The barn is heated by ground source heat pumps using water extracted from and returned into the ground. 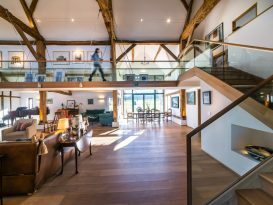 Energy saving features are being incorporated, including high levels of insulation and LED based lighting.